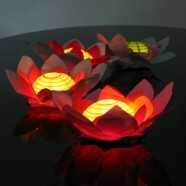 Floating Lanterns Beautiful floating paper flower lanterns ideal for floating on water or even as a table decoration. 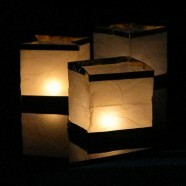 Chinese Floating Box Lantern Floating paper box lanterns look spectacular when released into a large body of water. Includes Tealight Candles.